Rider Gaham Lampkin and his 1959 Royal Enfield start their journey. A 1959 Royal Enfield Works Replica trials motorcycle and rider Graham Lampkin completed their trip across Scotland, taking "the muddy way" to benefit cancer research. Graham and his rugged Royal Enfield set off June 3 from their home near the center of England, headed to the Shetland Classic Vehicle Show in Lerwick. The challenge they set themselves was to go as much as possible off the roads. They made it. The Royal Enfield Works Replica was on display at the Shetland show, alongside an appeal for donations. You can still congratulate the pair by adding your donation to their charity page at JustGiving. I did; it's easy. Proceeds benefit Cancer Research UK. 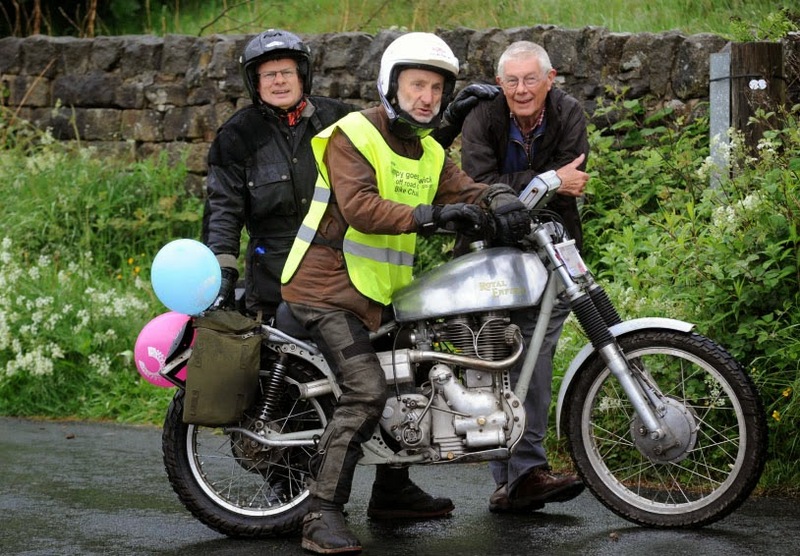 The Royal Enfield makes its charity appeal. "If every biker on or off road, classic or modern, donated the price of a pint (or gallon even) of beer then we could save a lot of suffering. Most of us have watched someone go through cancer," Graham wrote. 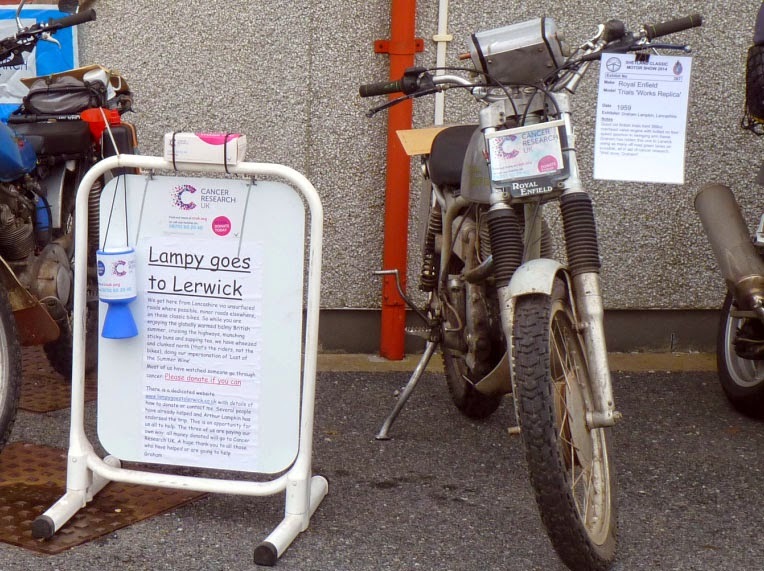 Full details of the ride will appear on his website, Lampy Goes to Lerwick (aka The Muddy Way Up). The balloons are a nice touch! I wonder if they survived the journey?